Today I wore another one of a few work-safe dresses I had to pinpoint for the month. Some of my dresses either aren’t dressy enough, aren’t conducive to demonstrating baby carriers, or are just plain too short or too low cut, so I had to choose my work-day dresses first. This, incidentally, is one of my favourites. 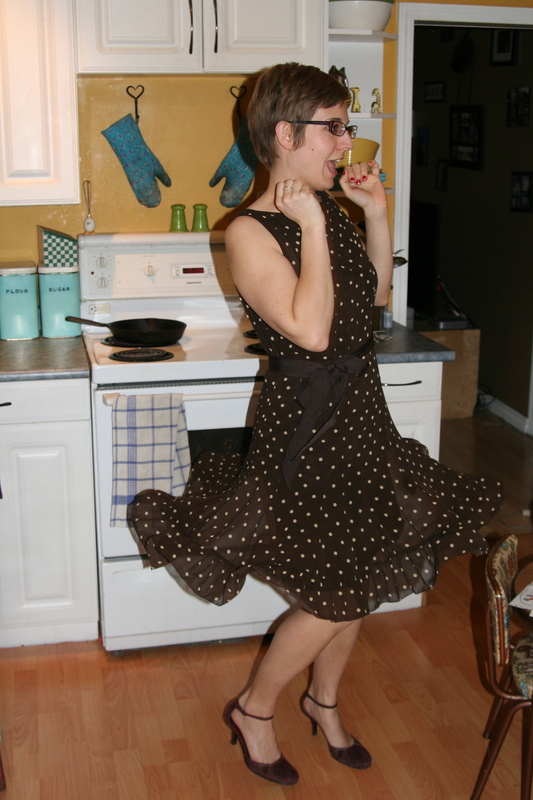 The nice people of the Dressember Facebook page tell me that today is Whirling Wednesday, so that explains the above photo. And yes, I do always make that face when I whirl.